The Queen's Gambit is the oldest gambit and one of the best moves in the opening. 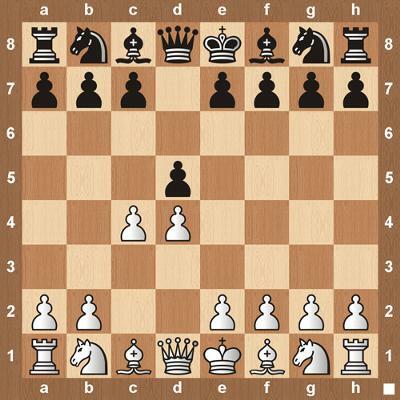 It has it's unique point of capturing Black’s pieces early and gaining control over the proceedings of the game from the start. trying to support the b-pawn. 5. axb5 cxb5? 6. Qf3! where Black's perseverance costs him at least a knight. In the Queen's Gambit, White has good attacking chances and Black will have to concede his pawn on c4 and focus on counter attacks as White will advance further and this is the true gambit that makes this Queens Gambit more important. Play through those moves here. This is one of the most popular openings as White which gets the chance of moving first will have a clear path to execute it. White will be attacking and if Black judged the happenings, the upper hand will be to White as he enjoys putting constant pressure on opponent. If this was the first move then the chances are there for White to easily conquer even the wittiest moves of Black. Now White can play the Queen's Gambit. Black has a semi-open file. Latest exchanges leave doubled isolated pawns. Black wants his king to play some part in the game. Both rooks eyeing down open files. Knight takes up the outpost on c4 and attacks an unprotected central pawn. Forced exchange hands Black a newly formed outpost on b3. Black re-positions his rook in anticipation of a breakthrough on the g-file. The second rook will follow his partner in crime into the enemy camp. Doubles the rooks forming a battery. And a white rook falls but the Black bishop will suffer a similar fate. The staircase of death awaits the White king. White will run out of checks and then his king will succumb to the Black rooks. He resigns. Thanks for that trick you talked about at the top. I tried it in some games today and it worked! It's very clever. Post some more! Join in and write your own page! It's easy to do. How? Simply click here to return to Queen's Gambit Boat Ride.